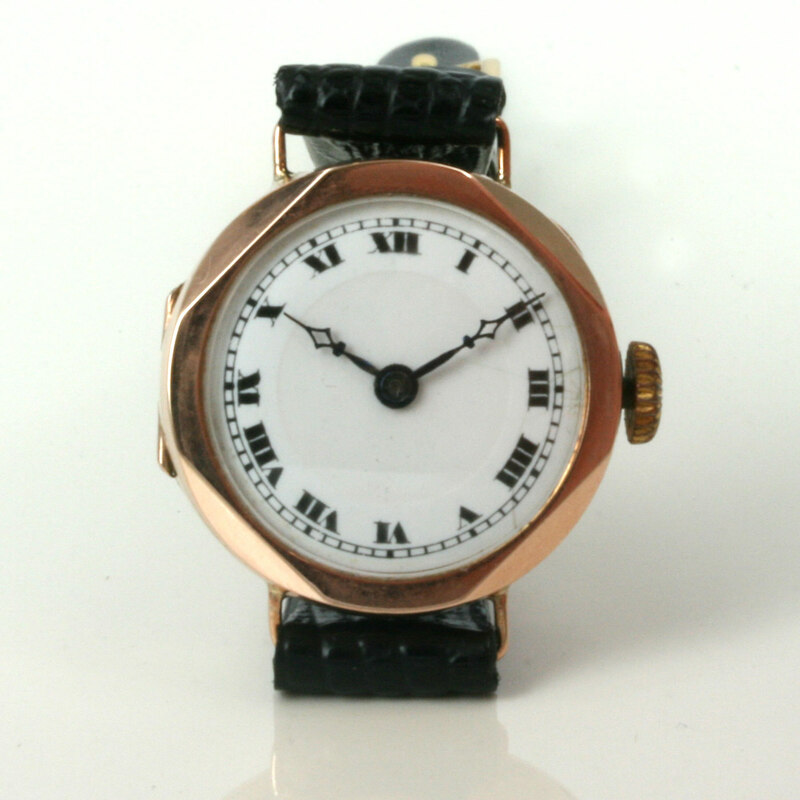 9ct rose gold Swiss lady’s watch from 1911. Product code: 1396 Categories: Sold Items, Sold Watches. 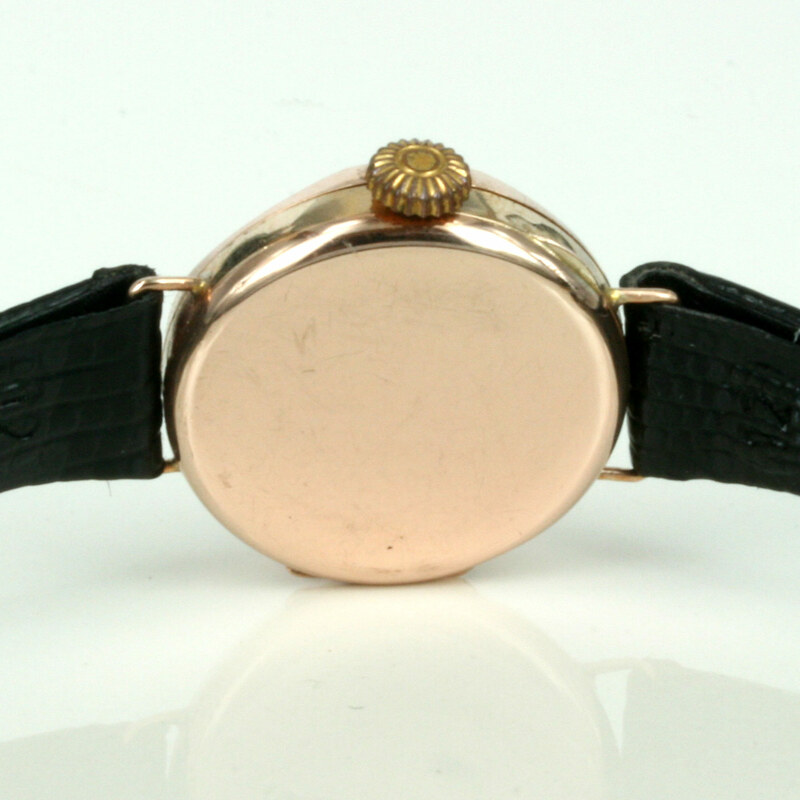 This is a very attractive rose gold lady’s watch that was made 100 years ago, and still in beautiful condition. 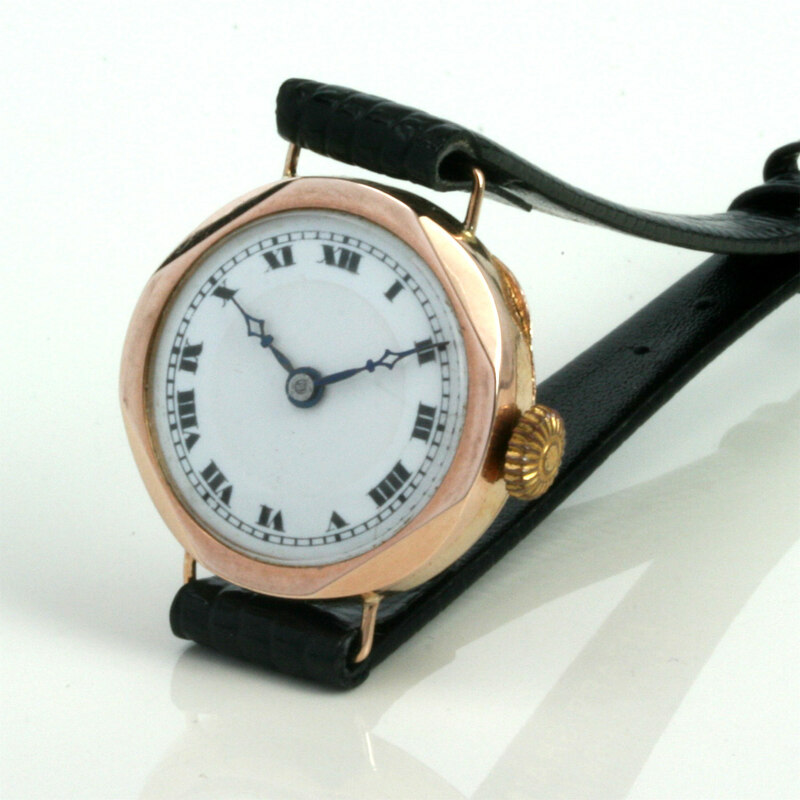 The dial is all original and thanks to it being made in enamel like the earlier pocket watches, it is still in sensational condition and all original. With the Roman numerals adding a great deal of style and class, this watch looks perfect day or night. The rose gold case is made in 9ct gold and is hallmakred for Chester in 1911, and the movement is a 15 jewelled Swiss manual wind movement that runs perfectly. Measuring 24mm across (plus the crown), this is a very attractive antique wrist watch that will be loved.